Rebecca Groom te Velde, AAGO, is a fourth-generation professional organist (son Brent is fifth in the line). 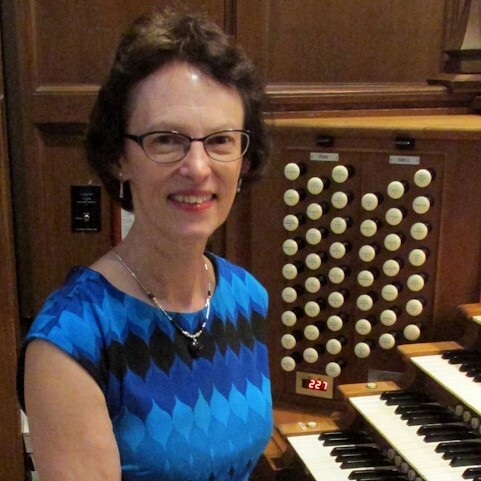 Organist (since 1991) and Director of Music at First Presbyterian Church in Stillwater, Oklahoma, she holds degrees from Seattle Pacific University and the University of Western Ontario. Her teachers have included Lester H. Groom, Hugh McLean, Michael Schneider, Almut Rössler, and Gerald Frank. She was a finalist in the 1980 AGO National Organ Playing Competition, a participant in the Flor Peeters International Masterclass in Mechelen, Belgium, and studied at the Musikhochschule Köln on a grant from the German Academic Exchange Service. In demand as performer, composer, clinician and adjudicator, te Velde has taught at Oklahoma State University and Oklahoma City University. She is co-editor with David Blackwell of Oxford Hymn Settings for Organists Vols. 1-6 and was a commissioned composer for the 2016 AGO national convention in Houston. Her choral music is published by Oxford University Press and Santa Barbara Music Publishing, and her organ compositions are published by OUP, Darcey Press, GIA, and Selah Music Publishing. She has served the AGO at the chapter, regional, and national levels, and has concertized in the U.S., Canada and Europe.